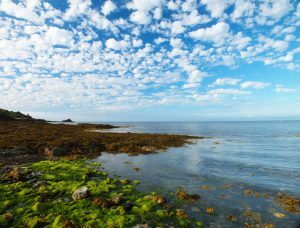 Rates Rooms start from £92 per night, based on a four-night stay. 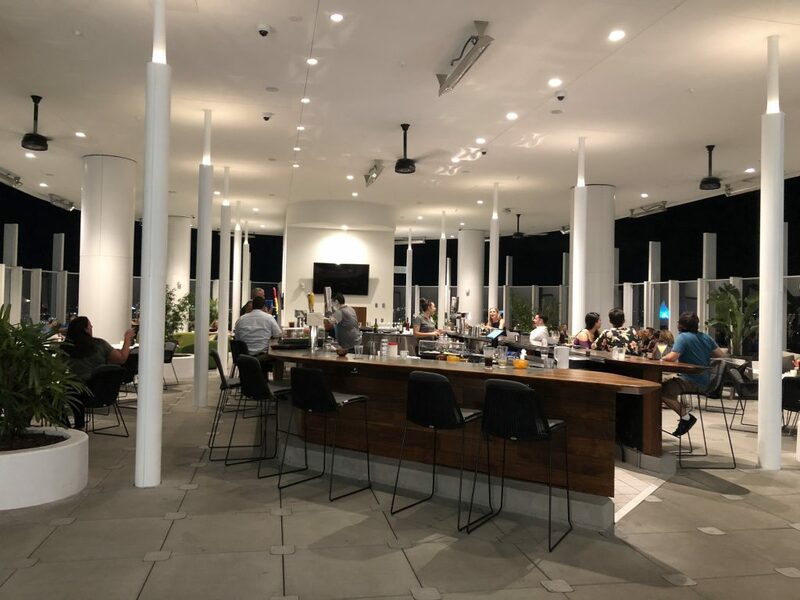 Our honest Aventura Hotel, Universal review below contains affiliate links but this is not a sponsored or paid-for post. Hooray! 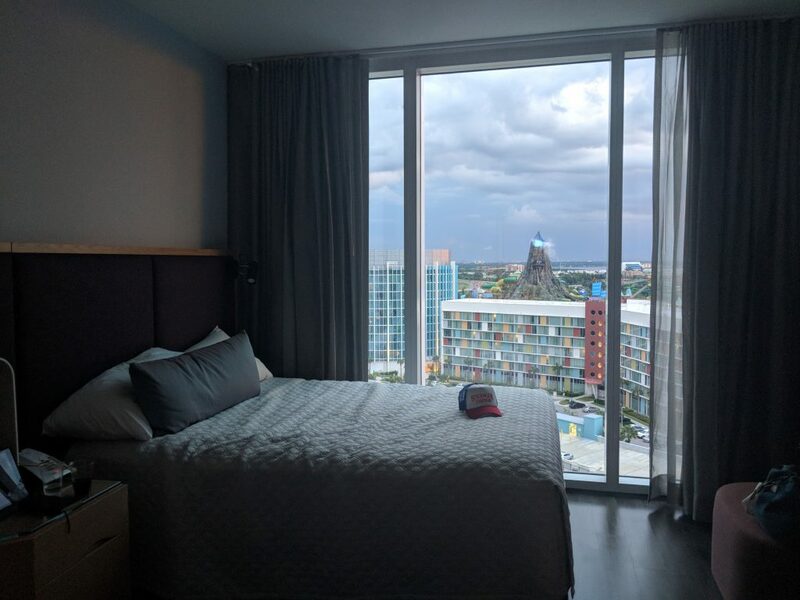 Universal Orlando’s Aventura Hotel has opened in Florida and we were pretty excited to stay there. 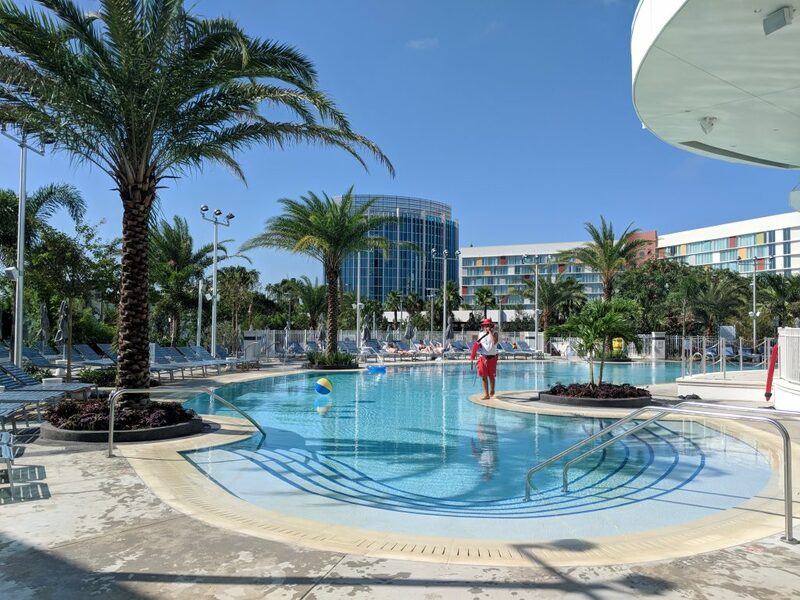 If you saw our review of Loews Sapphire Falls Hotel, you’ll know that is one of our favourite hotels in Orlando, so the sixth offering from Universal Orlando Resort had a lot to live up to. 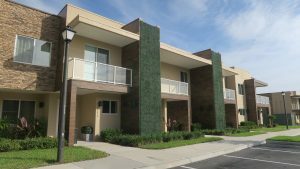 Refreshingly, the cool as cucumber Aventura is a totally different concept to the rest of the on-property hotels at Universal and a definite wild card as far as Orlando hotels are concerned. 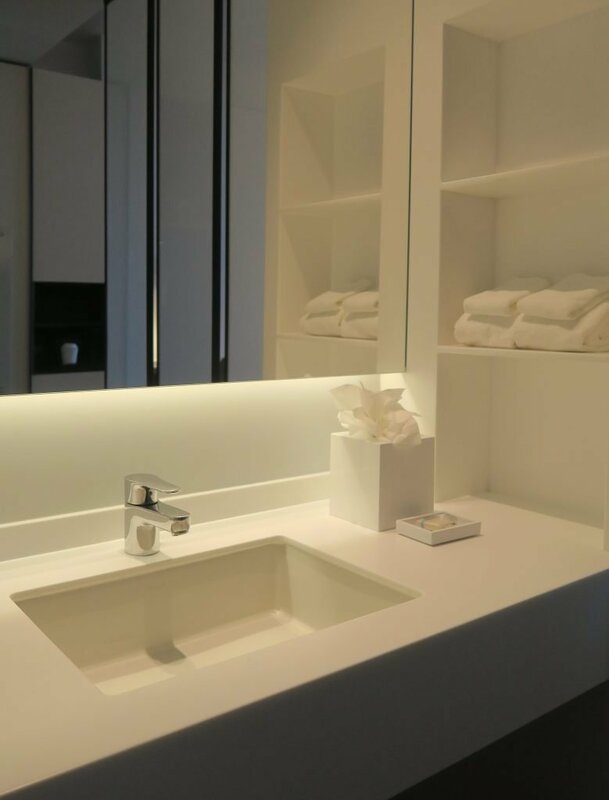 The modern resort has a boutique feel and the style is more New York Loft than cute theme park digs. After our recent stay, we’re happy to say that we loved Aventura too – but for a completely different reason. Aventura is currently one of Universal’s two entry-level hotels and, along with Cabana Bay, forms part of the Prime Value Hotel Category. Confusingly, there is soon to be a more affordable, Value hotel category but Universal’s Endless Summer Resort – Surfside Inn and Suites (which is the only hotel in this tier) doesn’t open until summer 2019. Rooms at Aventura start from $116 per night. This visit to Florida was to experience Universal’s Halloween Horror Nights which isn’t recommended for kids 13 and under, so we left the baby at home and got a bonus adult-only trip to Orlando. It was fun! When we visited last, we booked a family suite at Sapphire Falls with Finn, which we adored. 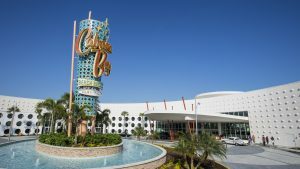 We have also stayed at Cabana Bay Resort and that is also very family friendly. Of course, kids are welcome at all theme park resort hotels are but Aventura definitely had a more adult vibe. 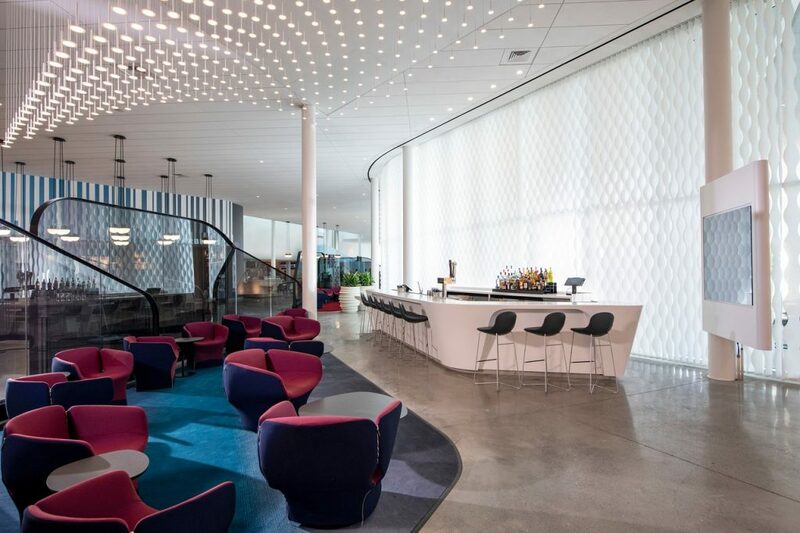 The open-plan lobby felt like a trendy co-work space and the cool roof terrace, serving cocktails and after-hours views of the parks, is also more geared to adult guests. Plus, the stylish but simple pool doesn’t have fun kid add-ons like slides and a lazy river. 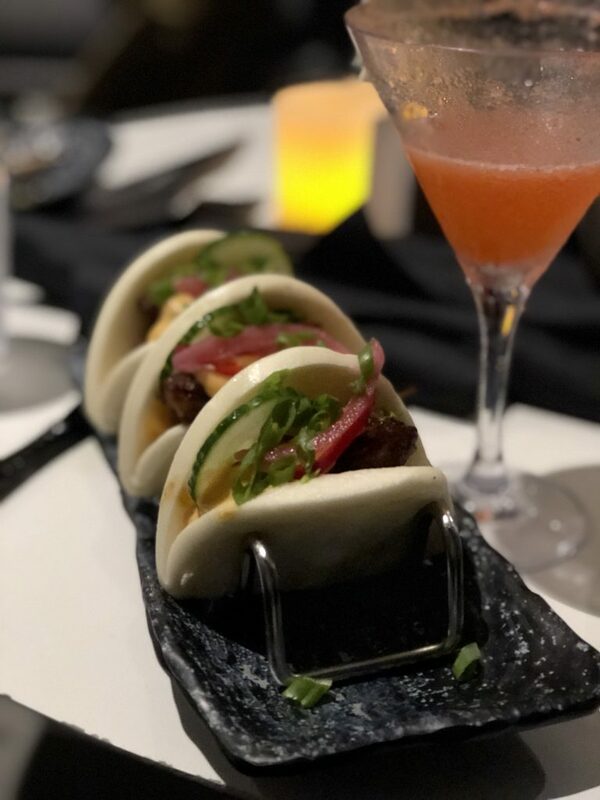 So, yeah, if you’re looking for a hotel for an adult-only trip to Orlando, I highly recommend Aventura – even if you aren’t planning on doing the theme parks. There is no branding or theme at this hotel, so you could be forgiven for forgetting you’re at a theme park at all. The bedrooms at Universal’s Aventura are minimalist to look at but actually offer quite a lot. My room, a skyline view standard room,had two queen beds, a large bedside unit, a decent-sized desk with an office chair, plus a compact armchair. It is the perfect size for a couple or two guests staying. I think any more than three adults in this room would be too cramped. There are also family suites available, like the one we stayed at at Sapphire Falls. 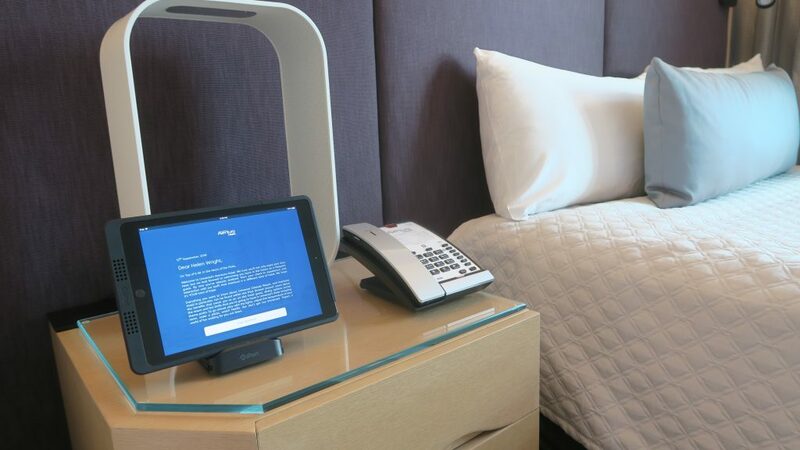 One of the cool things about this hotel is that everything can be controlled by an iPad in your room – from lights, to temperature, TV, room service and check-out. You can check out by television, phone, express check-out box available at the front desk or traditional check-out at the front desk. The room wasn’t huge. The beds took up most of the floor space. We used the spare bed to store our luggage but otherwise there is only space for one suitcase by the door. The wardrobe is sizeable though, (if you can be bothered to unpack!) 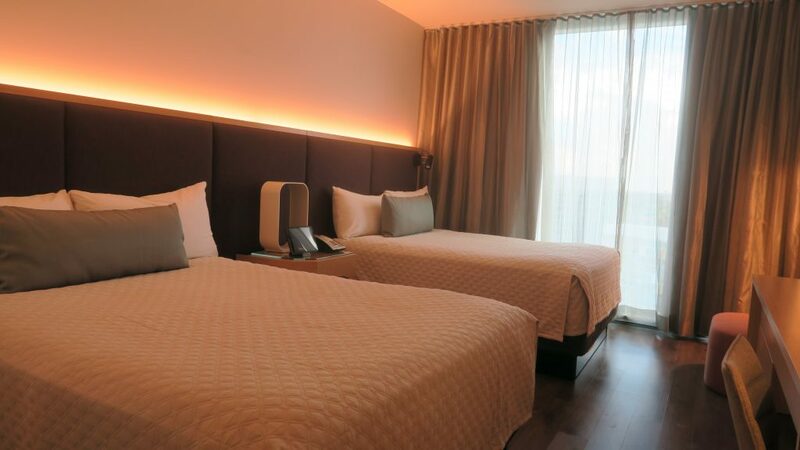 I think if you’re coming from Europe, this hotel wouldn’t feel compact at all, but those used to sprawling American hotels will notice it feels more snug than most. The design and decor is very pleasant and clever lighting and the floor-to-ceiling windows do make the room feel more spacious and luxurious. I had a brilliant view of Volcano Bay Water Park and the ICON Orlando (the Orlando Eye wheel). Beds are comfy, but nothing even close the the dream mattresses on offer at Sapphire Falls! Maybe I’m a bit spoilt, (remember, Sapphire Falls is in the more superior Preferred category, with prices starting from $160 per room per night) but I found the Aventura pillows a little bit hard… Having said that, it didn’t affect my sleep and we had a very comfortable stay. 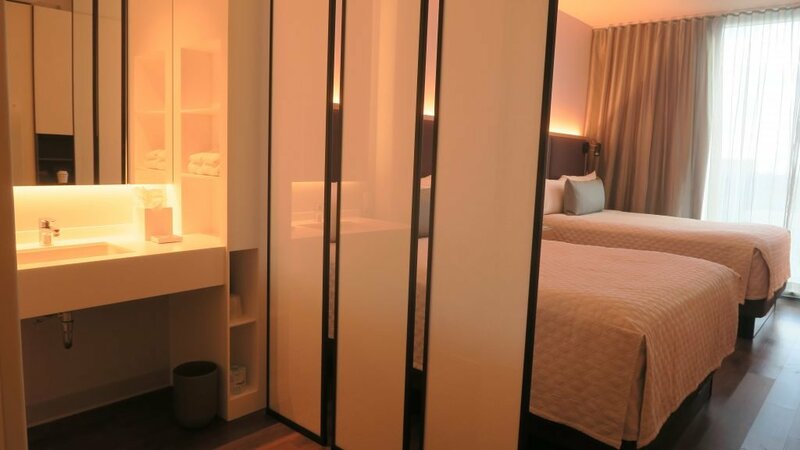 The bedroom and bathroom is divided by a screen which is another great design choice as it gives you some privacy without closing in the room – again, perfectly maximising the space. The bathroom was interesting. The sink area was, again minimalist, but had lots of hidden shelves and cupboards to store your own products and items. I really liked this as I have stayed in boutique hotels with absolutely nowhere to store anything! 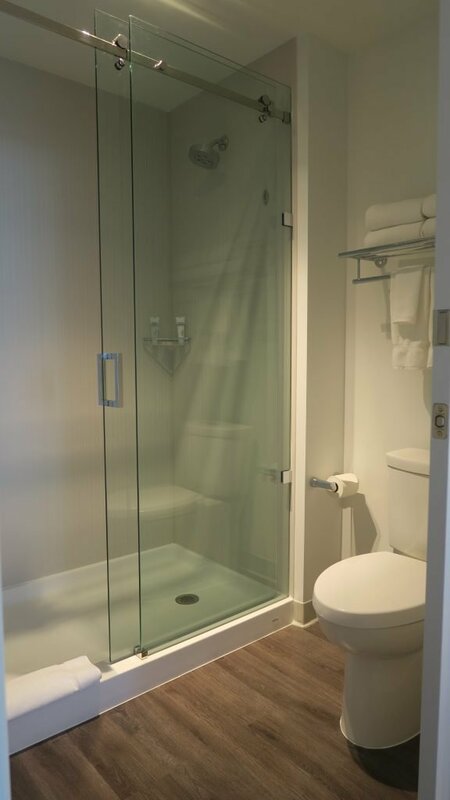 The huge walk-in shower was probably my favourite thing about the room. Big, powerful shower head and plenty of hot water and space. For a prime value hotel, this was a five-star shower! 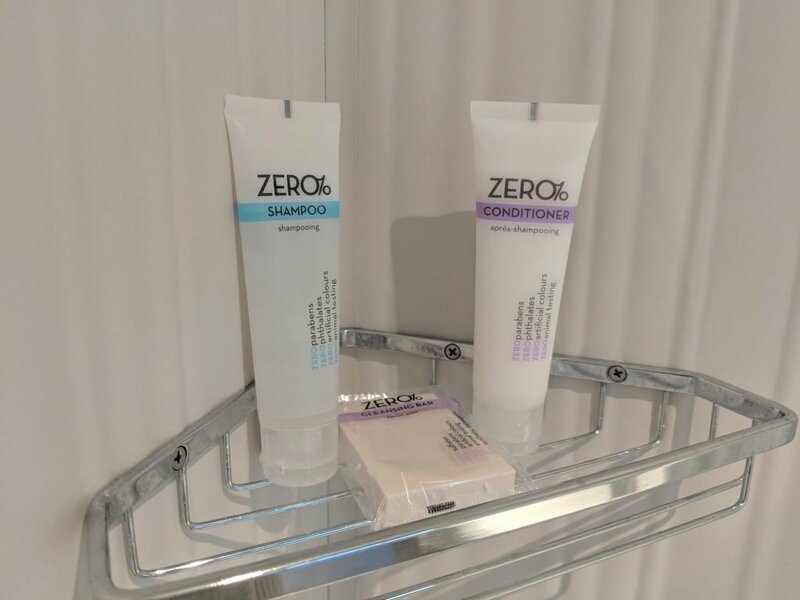 Provided toiletries were from a brand I haven’t heard of, called Zero%, and I was impressed with them. Usually I am not a fan of hotel shampoo and conditioner but these felt good quality and smelled lovely. The packaging also said they were paraben and phthalates (chemical) free and not tested on animals, so extra bonus points! 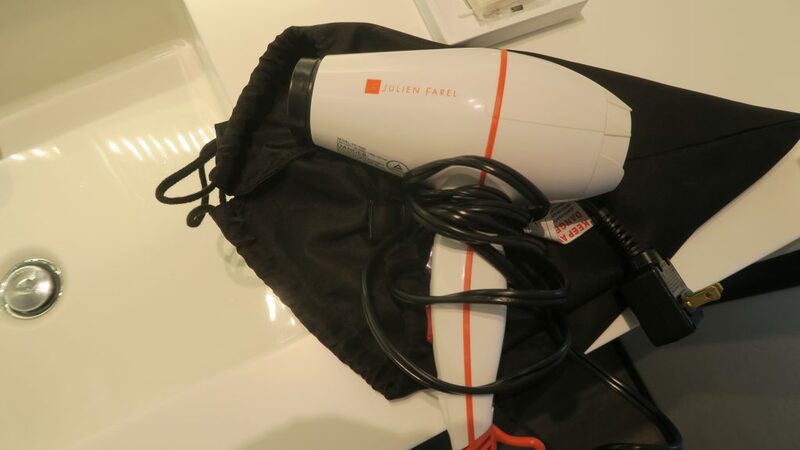 The other thing I was very pleased to discover was a proper, full-size hairdryer. Long-haired lovelies rejoice! 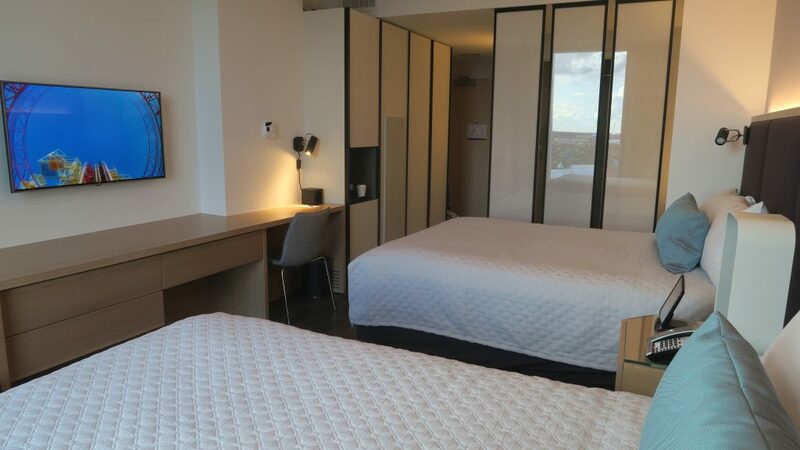 Overall, I really liked our room and it was also very quiet – we were not disturbed by any noise or other guests, despite the hotel being full to capacity during our visit. The pool area was very relaxing and, as I say above, very much compliments the adult feel of the hotel. The pool hugs the main building in a half moon shape and there are plenty of loungers and places to sunbathe, as well as an offering of shade. There is a pool bar in the centre but annoyingly it didn’t sell food and you had to dress and wear shoes to enter the food court to get lunch, which was a bit frustrating. There is also a hidden hot tub (at the rear, toward Volcano Bay) and a fire pit with a circle of chairs which made a great place to socialise as the sun went down. Aventura also offers something none of the other Universal Resort Hotels do, and that is a very cool roof terrace that overlooks the resort. Get up there for Sunset to enjoy the best views as the sun goes down. The rooftop opens at 5pm, which is the best time to go, but I think it would be cool up there during the day too. Especially for lunch – they are missing a trick there! Food served on the terrace was very good – from Bao buns, to noodle bowls and other tapas-style small plates, all with interesting, modern ingredients. 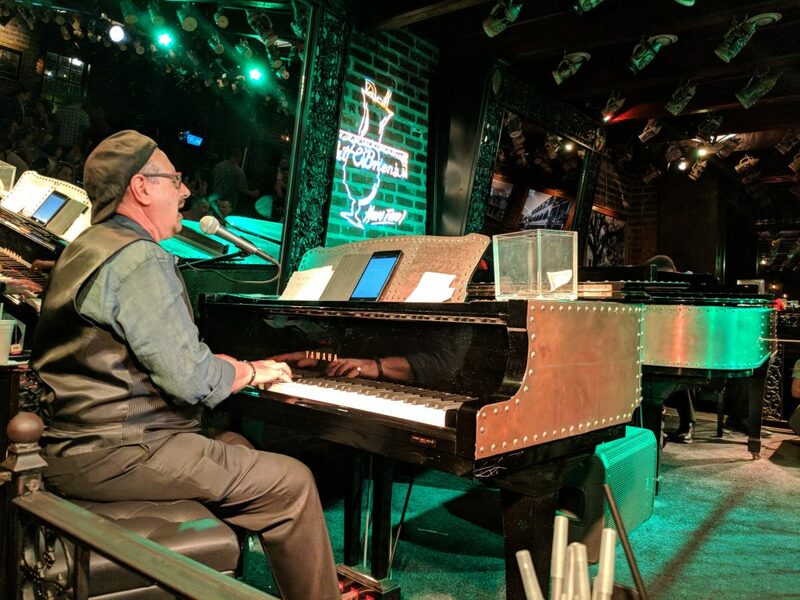 Plus, as well as 10 specially-designed cocktails, there is a full bar and friendly bartenders will make you anything your heart desires (within reason) if you ask nicely. In my excitement I forgot to take any pictures of the gorgeous roof terrace! But, luckily, fab blogger Becky Wiggins from englishmum.com was also staying at Aventura and has kindly given me a few images that she snapped. Non-guests can enjoy the roof terrace and there is an express lift from reception meaning floors with guest rooms on remain secure. The entrance lobby of the hotel is open plan with a buzzy atmosphere. Check-in and bell desk is to the right with a lounge area, bar and full food court toward the back. The food court is actually brilliant and I had some delicious food during my stay, including Poke bowl, pizza and made-to-order burgers. 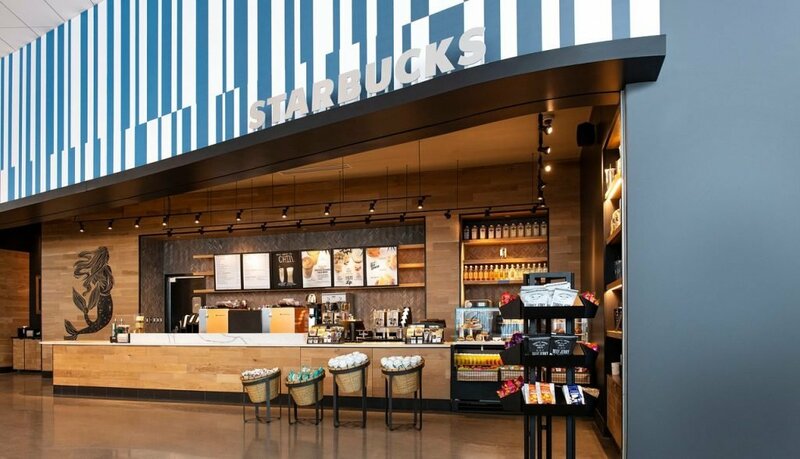 A Starbucks is also open for early morning coffee – a definite perk to perk you up for all the theme park fun! 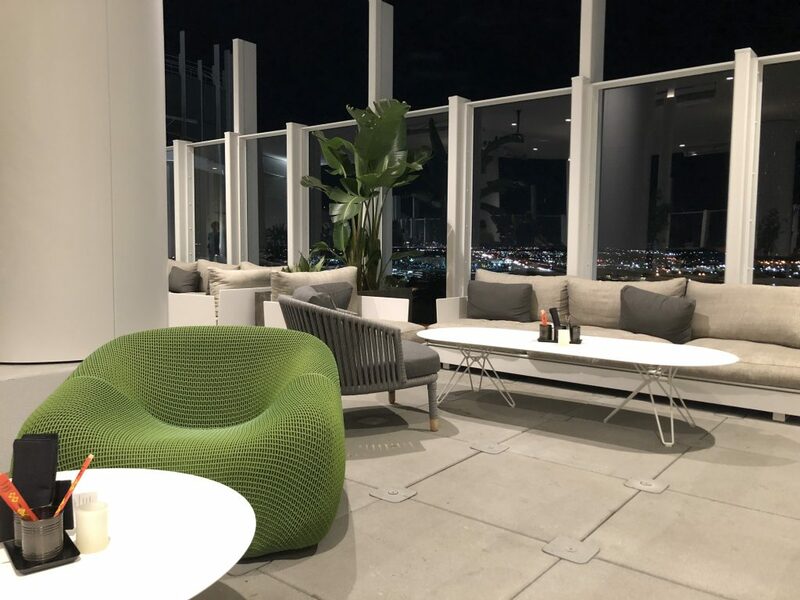 If you book Aventura through Virgin Holidays, you are also granted access to an exclusive Virgin Holidays Lounge – The V-hub – an exclusive space for Virgin Holiday guests to use throughout their stay. 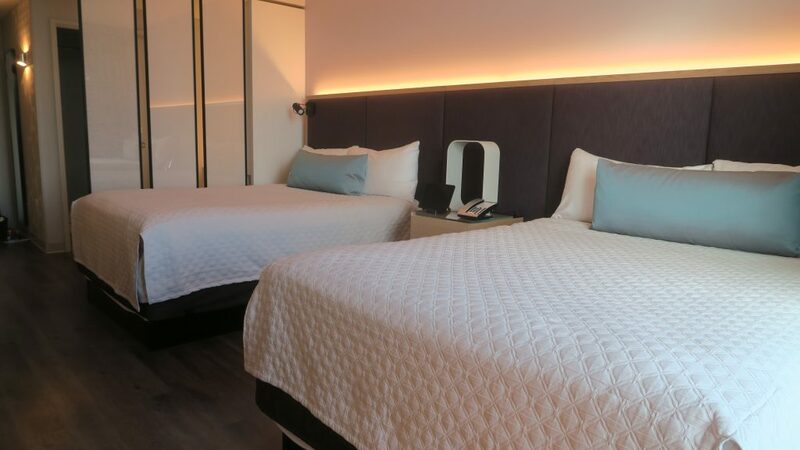 You can grab a light breakfast before setting off for the day and have with access to shower facilities and private lockers so customers can make the most of their last day (after checking out) knowing they can freshen up in comfort before their flight home. A Virgin Holidays staff member is also on hand to answer queries, from park opening times, flight departures and any questions on options for luggage storage. 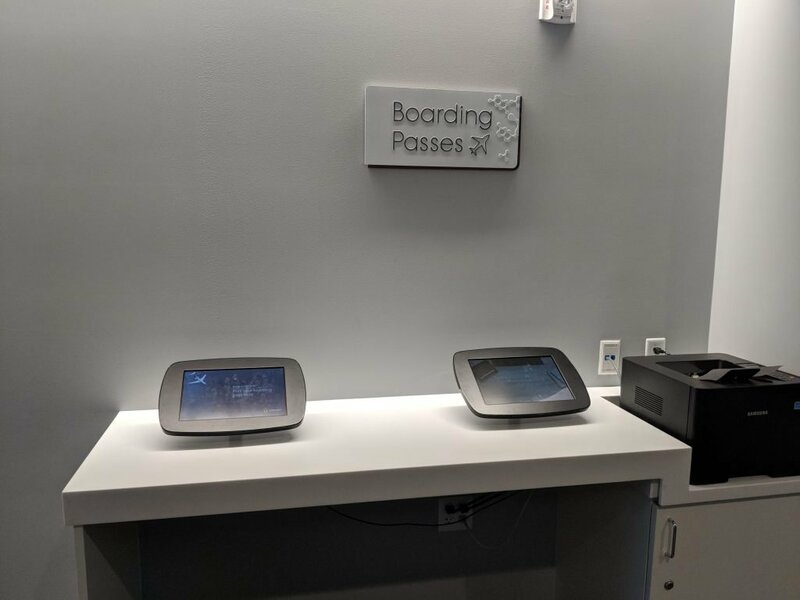 There are also laptops to use to check in for your flight and print boarding passes. 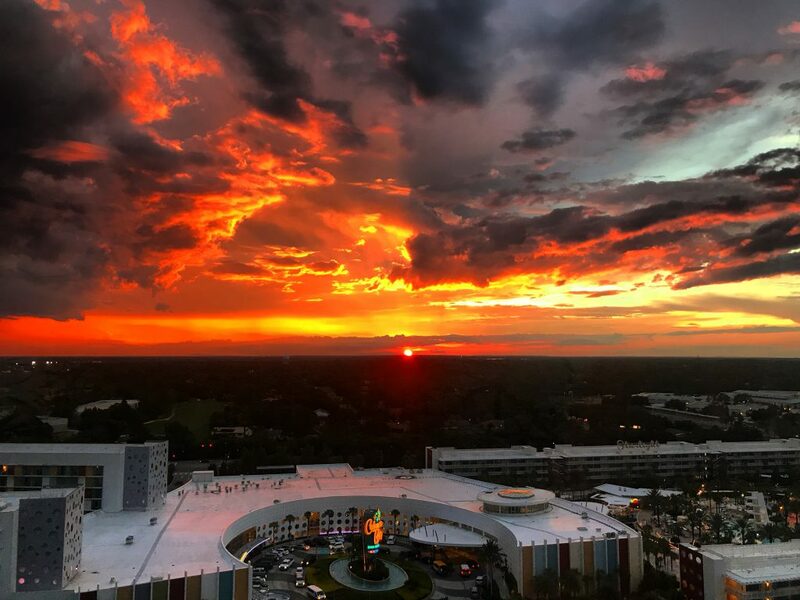 All the Universal Orlando Resort Hotels offer their guests Early Park Admission, which means access to a designated Universal park for one hour before the gates open. This can either be Universal Studios, Universal’s Islands of Adventure or Volcano Bay Water Park and comes in VERY useful during busy times when you can get into the park and race onto the most popular rides (like Escape from Gringotts, Hulk and Forbidden Journey) before the lines get busy. If you get to the park before opening time you can do five or six rides before other guests are even allowed in – which is brilliant! Do you follow us on Instagram? Click above to give us a follow and support our social media. 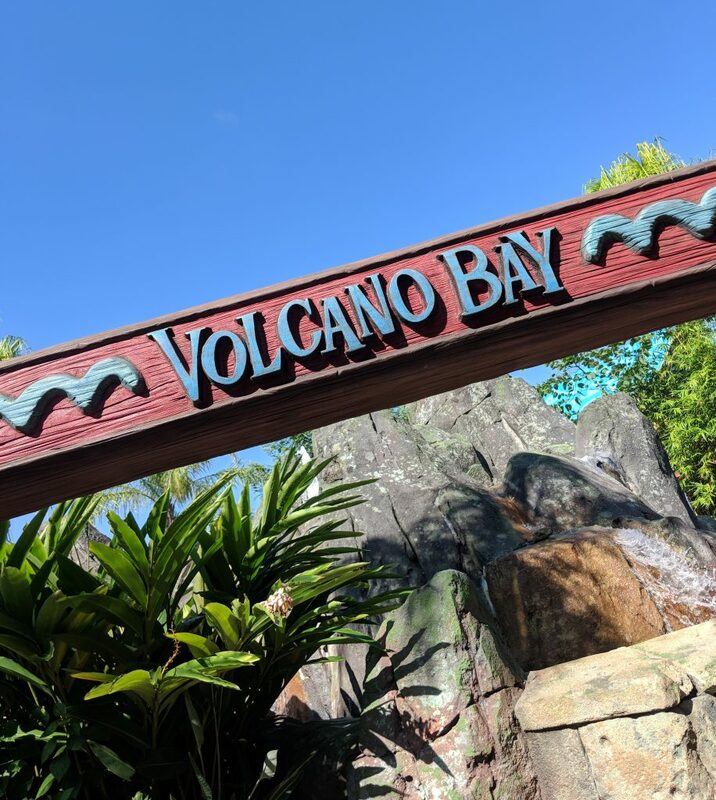 From Aventura, you can walk to Volcano Bay via an accessible route in five minutes. This is great, as no need to bother with buses or other transfers. We loved Volcano Bay. 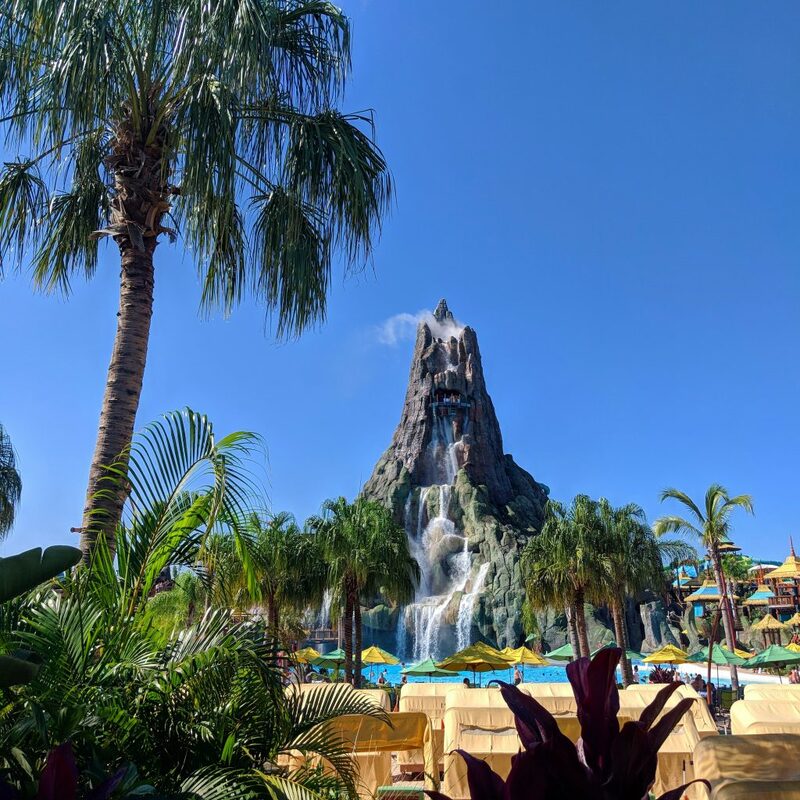 Some of the slides are seriously scary (the Ko’okiri Body Plunge, the tallest body slide in America ranging at 125 feet tall – eek) and there is a fun Polynesian theme with upbeat music and lots of places to chill out and relax, as well as a huge wave pool. Staying at the Universal Resort Hotels also means you have free transfers and will be within walking distance to Universal Citywalk so if you plan on having a drink, you can get home easily without needing a taxi or a designated driver. Finally, Aventura is situated right next door to the Sapphire Falls hotel. So in addition to the funky food court, you can also take an easy walk over for dinner at the delicious Amatista Cookhouse or have a drink at the Strong Water Tavern. 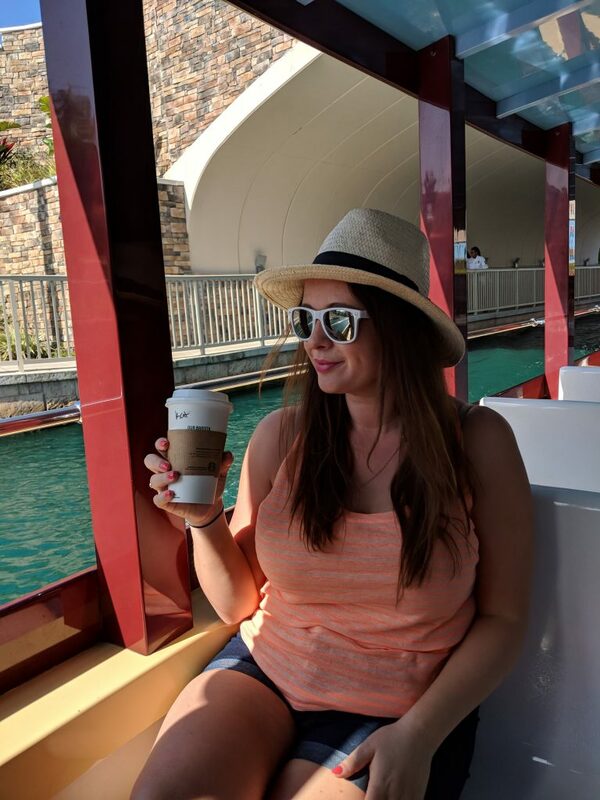 This also means you can be a bit cheeky and use the docking area at Sapphire Falls to take the water taxi to the parks and CityWalk – far more glam than getting the bus! Aventura is a cool hotel and a refreshing change to the traditional resorts on offer in Orlando. 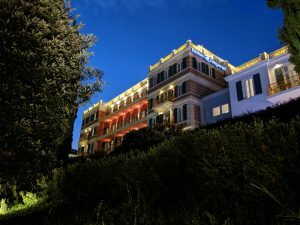 I’d go back here with Finn in tow because, of course any of the hotels here welcome children, but this would certainly be my stay of choice when I’m here for my next child-free visit! If you want to compare Aventura to a Preferred or Premiere hotel, read our reviews of Loews Portofino Bay Resort and Universal’s Sapphire Falls. We have so many great Universal Orlando posts! Everything you need to know about buying Orlando theme park tickets in our full guide. Why Universal is changing Orlando for the better. More of a Harry Potter fan? Did you know there is a Harry Potter show?